The Magistral Villa has been in the possession of the Order of Malta since the 14th century and, together with the Magistral Palace, is one of its two institutional seats. The Villa has been host to some of the most significant events in the Order’s institutional life in recent times: the elections of the last six Grand Masters were held in its splendid Chapter Room and the Feast of St John the Baptist – the Order’s patron – has been celebrated annually in the gardens on 24th June for centuries. Of great importance in the history of the Order of Malta, the Magistral Villa also boasts an artistic treasure: its church, Santa Maria in Aventino, is the only architectural example by the famed artist and engraver Giovanni Battista Piranesi (1720-1778). In 1764 Piranesi created the square, Piazza dei Cavalieri di Malta, and the Church with highly decorative motifs relating the history and traditions of the Order. A monument to the artist stands in the church in a niche containing his ashes. The Magistral Villa attracts visitors from far and wide who scale the Aventine Hill to peer through its celebrated ‘Buco della Serratura’; a keyhole framing the dome of St Peter’s Basilica. The Grand Master receives heads of state and representatives of governments at the Villa, as well as the ambassadors accredited to the Order who come together in January each year for the Diplomatic Corps audience. 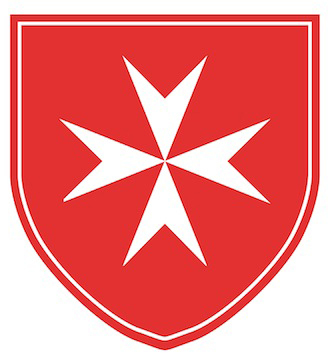 The Villa enjoys rights of extraterritoriality and serves as the seat of the Grand Priory of Rome, one of the oldest institutions of the members of the Order of Malta. It also houses the Sovereign Order’s Embassy to the Italian Republic.